I nailed the January Goals! As an example of the way these help, my DH and I debated about when to take our little journey to the quilt shop to drop off donation items and decided to do it right away, because the next available date would be in February. It helps to have these commitments. Make sports baby quilt for shower. Yes, the navy and white one! Cut scraps for Scrappy Stars Around the Corner (Charlotte’s Scrapitude mystery quilt for this year). Yes! Except the background, which I’m cutting as I go. Sew first clue for Scrappy Stars. Yes! Make a quilt for my Etsy shop. Yes, the Pink Elephants! 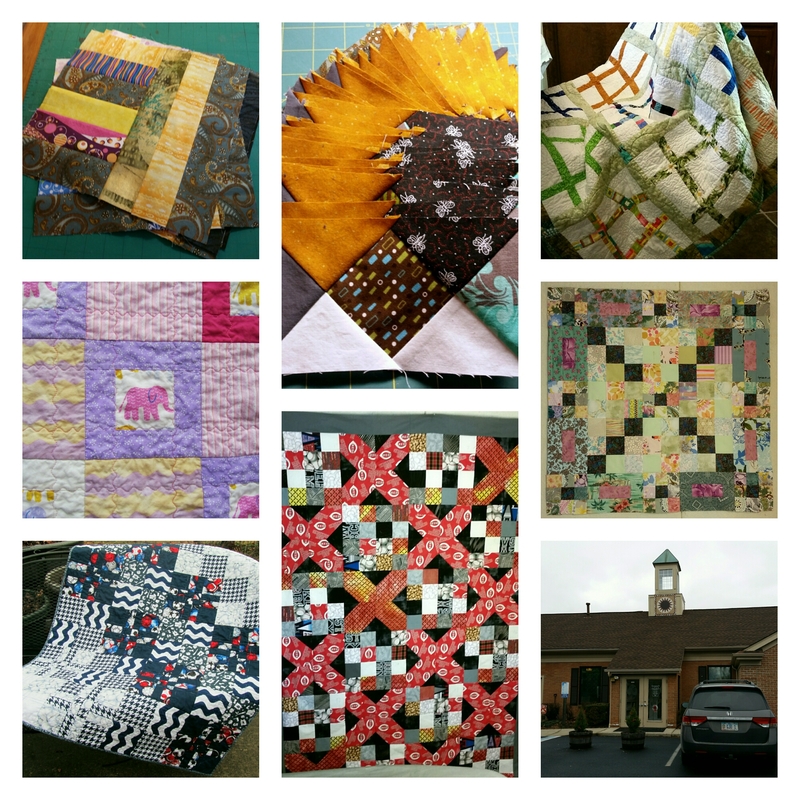 Take Project Linus quilts and donation pillowcases to drop off shop. Yep! Bonus: I made a dozen blocks to donate to Alycia for Quilts of Valor, and am almost finished with an extra quilt for my shop from the Baseball scraps. Complete the second clue for Charlotte’s Scrappy Stars Around the Corner. Continue Gyleen’s Bricks, Cobblestones, and Pebbles mystery quilt. Unpack fabric lockers and get help moving them over a foot. This will help with locker and floor access and make it easier to vacuum. Find a new home for the little project bins that live under the cutting table. Make donation blocks for Kat’s February Challenge. Make a quilt for my Etsy shop. I only used 3.75 yards for the back and binding of the Hashtag quilt. Good luck on your goals and stash. I’m linking up to Judy’s Report at Patchwork Times.